In a sentencing memo, the special counsel Robert Mueller’s office recommended that former national security adviser Michael Flynn not to be incarcerated. 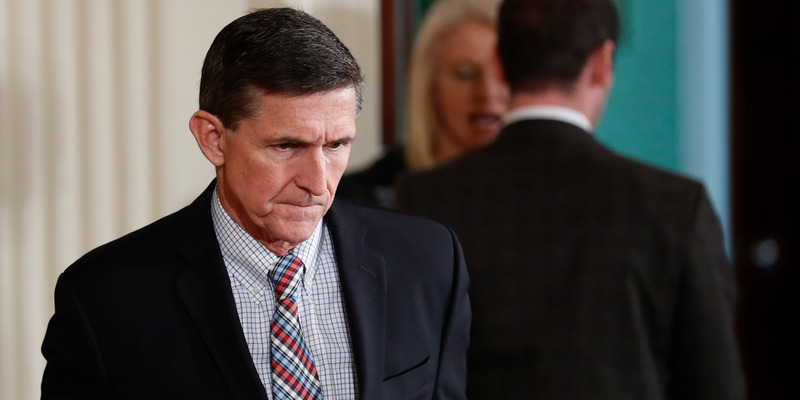 Flynn pleaded guilty to lying to the FBI about his contacts with Russian ambassador Sergey Kislyak in 2016, shortly before President Donald Trump’s inauguration. In 2017, Trump did not rule out pardoning Flynn and accused the Justice Department of wrongdoing. In a sentencing memo released on Tuesday, the special counsel Robert Mueller’s office recommended no jail time for former national security adviser Michael Flynn, after he was found to have lied to federal investigators about his contacts with Russian ambassador Sergey Kislyak. “Given the defendant’s substantial assistance and other considerations set forth below, a sentence at the low end of the guideline range — including a sentence that does not impose a term of incarceration — is appropriate and warranted,” the memo said. Flynn also appears to have cooperated with investigators early on in their probe. Flynn’s timely cooperation in the investigation was described as “particularly valuable,” because he was believed to be “one of the few people with long-term and firsthand insight,” according to the memo. After delaying Flynn’s case numerous times this year, prosecutors signaled in September that the case was ready to move forward with sentencing. Mueller’s office kept a tight lip on the case and reportedly recommended to the judge that it and Flynn’s counsel not reveal any new information about any developments or the extent of Flynn’s cooperation, prior to the 2018 midterm elections in November. Despite having denied discussing US sanctions against Russia with Kislyak, Flynn was discovered to have had done so in late 2016. In December 2016, Flynn contacted the Kremlin to push for a block on a United Nations Security Council resolution on settlements in Israel, after he appeared to be instructed by White House senior adviser and Trump’s son-in-law Jared Kushner. That same month, Flynn reached out to Kislyak again. Following then-President Barack Obama’s fresh sanctions against Russia in response to interfering in US elections, Flynn reportedly spoke with Kislyak numerous times, and advised “not escalate the situation and only respond to the US Sanctions in a reciprocal manner,” according court filings. Russian President Vladimir Putin would later release a statement suggesting he would not retaliate against the US, and Kislyak informed Flynn of Russia’s decision. Flynn would go on to discuss his interactions with the Kremlin with senior members of Trump’s transition team. The former three-star US Army general and director of the Defense Intelligence Agency had ardently supported President Donald Trump’s 2016 campaign, eventually landing a role in the White House as Trump’s national security advisor. 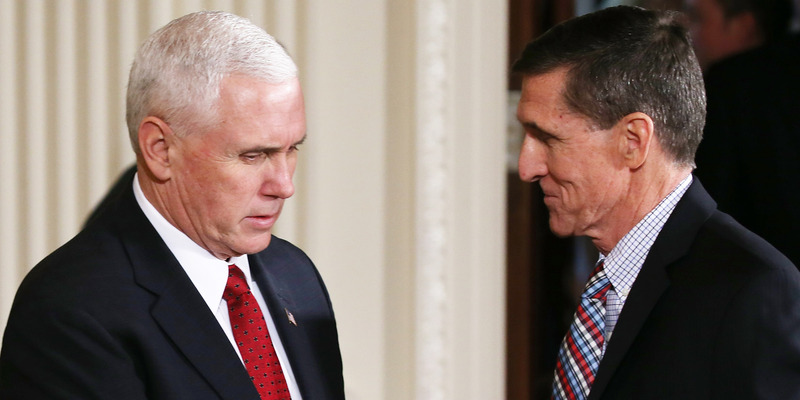 Following news of Flynn’s Russia contacts, Vice President Mike Pence was caught in a crossroad after saying Flynn did not discuss sanctions. Trump declined to act for weeks after news of Flynn’s conversations came to light, despite warnings from then-acting attorney general Sally Yates that Flynn misled investigators. Trump fired Flynn for lying to the FBI in February, but remained adamant that he did not do anything unlawful. “The president was very concerned that Gen. Flynn had misled the vice president and others,” then-White House press secretary Sean Spicer said, following Flynn’s firing. Flynn pleaded guilty to lying to federal investigators in December, the first of numerous senior Trump officials, and he has since cooperated with Mueller’s office in relation to its investigation into possible collusion between the Trump campaign and Russia. Former Trump campaign chairman Paul Manafort and former Trump attorney Michael Cohen have also pleaded guilty to a litany of crimes, including lying to Congress and investigators. In December 2017, Trump did not rule out pardoning Flynn and accused the Justice Department of wrongdoing.